The Bondi Dental team led by Dr Haddon Suttner welcomes you to our family-centred dental clinic. We thank you for putting your trust in us. We surely will not disappoint. You are now a part of the Bondi Dental team! 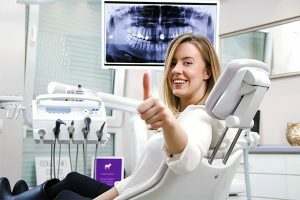 Bondi Dental is a reputable, well-regarded dental practice located in Bondi Beach, Bondi Sydney. We provide quality dental care to the local Bondi community; the Eastern Suburbs; Sydney; and its surrounding areas. Our dental facility has been here for more than 30 years. We have helped create beautiful smiles throughout the area. Our team’s combined experience of over 60 years in all aspects of dentistry has allowed us to meet and exceed expectations. Our dental facility has been recently renovated, now featuring modern décor, pleasant colour schemes, state of the art dental equipment, and all manner of aesthetic upgrades to improve your dental experience. What makes us unique from all other dental facilities in the area is our heartfelt commitment to people. Dentistry is more than just a job; it is our passion and responsibility. Providing quality dental care is our responsibility to the people. We owe it you for putting your trust in us. Hence, through the years we have striven to deliver the best care possible and improve at the same time. We have an extensive range of dental services. From simple to complicated dental needs, we’ve got you covered. In our effort to give back, we create opportunities for discounts and other amazing offers. Here at Bondi Dental, we create more ways for you to choose us! A dental visit is stressful particularly for a first timer. Hence here are 5 simple steps that can make your dental visit a positive experience. Check 24 hours in advance to avoid any mix-ups. Arrive before your scheduled time. Tell your dentist if you are uncomfortable. That way your dentist can introduce sedation techniques. We recommend two dental visits a year, once every six months. This way, we can monitor your oral health and provide personalised oral hygiene instructions. We look forward to seeing you in our dental facility. Choosing Bondi Dental as your dental partner is your first steps towards better oral health for this year and a lifetime! Call (02) 9365 7187 or visit us at 134 Curlewis St in Bondi Beach.